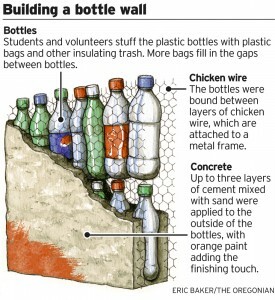 Bottle schools are schools built from “waste” plastic soda bottles & other inorganic trash. 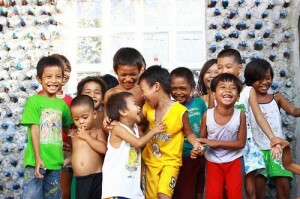 Entire communities work together, young & old, to make the dream of education reality. 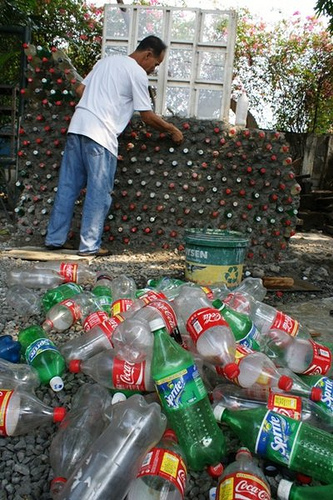 A non-profit organization called Hug It Forward is the catalyst uniting these communities in Guatemala where kids are being taught environmental education and adults learn different types of skilled labor. The result is a wonderful facility, which is a symbol of unity, to educate present and future generations. So far, 10 bottle schools have been built around Guatemala. 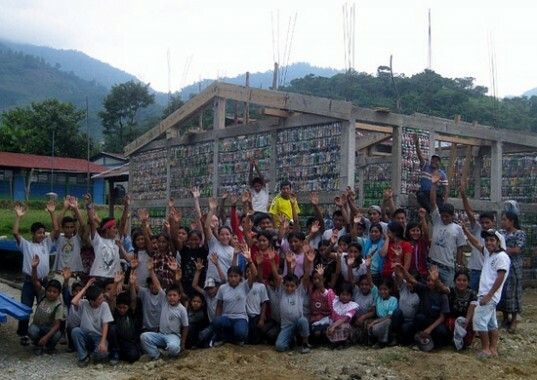 The first project in Granados, Guatemala, over 5,000 plastic bottles were used to build two classrooms, containing 2053lbs of trash and using 9720lbs of cement. 297 children and youth currently attend the school, which serves a municipality of 13,860 people throughout 95.75 square miles. 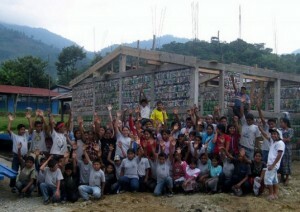 By building with “waste” materials, leveraging the volunteer labor of the community, and by ensuring that 100% of donations are spent on projects (no money is taken for overhead or salaries), Hug It Forward can build a two-classroom school for around $12,000.